Before Aqua Lung launched the new i300 C, only expensive and highly technical dive computers feature Bluetooth technology for uploading and downloading information. Now, the same Bluetooth capability is available to a user-friendly entry-level dive computer. The i300 C looks almost identical to the i300, and features the same multi-button surface. For years, the i300 has been a dependable computer for beginner divers who want features they can understand. The i300 C is a game-changer with easy Bluetooth compatibility features. Entry-level dive computers don’t usually feature four modes. 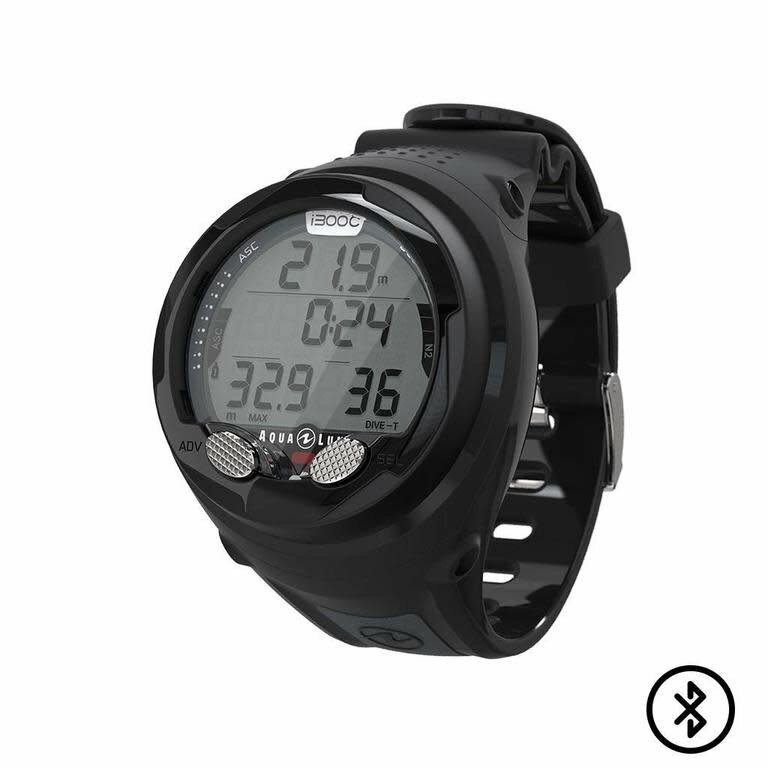 The i300 C comes with Air, Nitrox, Gauge (with run timer) and Free Diver as standard. 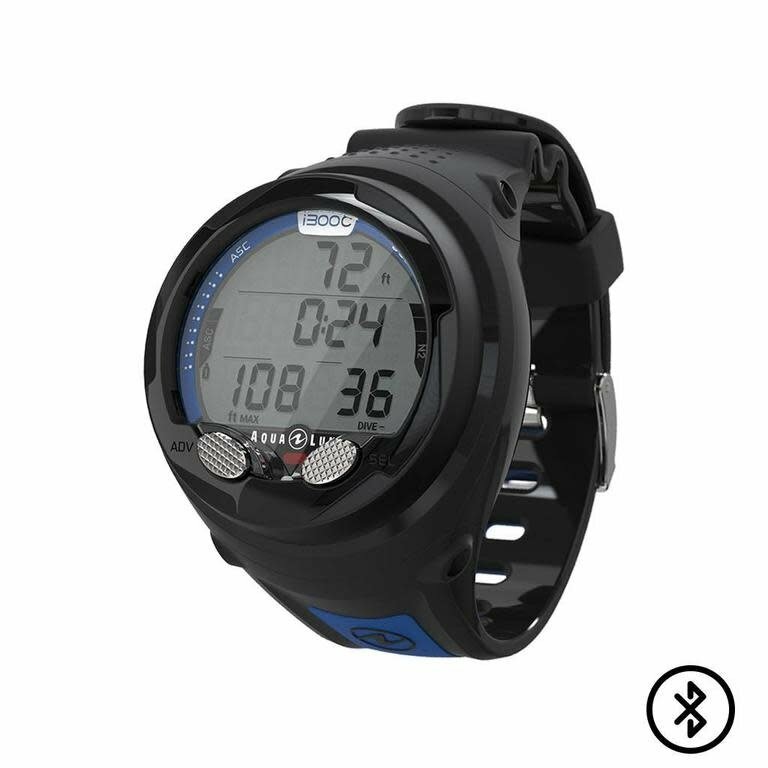 The Free Diver mode eliminates the need for a seperate computer for freediving and spearfishing, while keeping with the same technology and features as other computers in the industry. Free Diver mode will also track calculations to allow switching between DIVE and Free modes on the same day. The i300 C’s four modes allow you to stick with the same computer for years to come. The i300 C’s battery can be changed from anywhere and by anyone. The 3V CR2450 battery can be found in most pharmacies. Changing the battery is simple, and only takes minutes to master. You won’t have to worry about a low battery on your next vacation. Aqua Lung is constantly updating their technology and issuing new updates. The i300 C can be updated with Bluetooth via DiverLog+ app. Never miss an opportunity to stay up-to-date with your computer’s software.